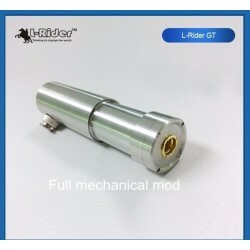 Has the ability to check atomizer resistance. 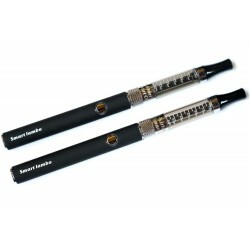 Features: Electronic cigarette body (without battery and charger) made of chrome. 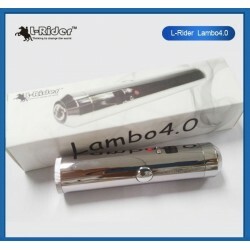 Lambo 4.0 is the newest Original design from L-Rider Technology. 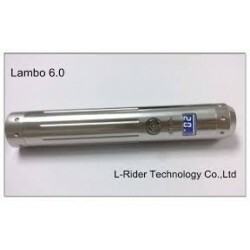 - press Shortly and simultaneously the Power button and one of the buttons "+" or "-" for 5 times and the display will show the value of atomizer`s resistance mounted on Lavatube 4.0. 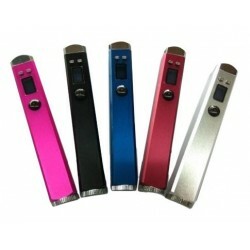 LCD display - used to display the current voltage setting, battery charge status and the newest - has the ability to check atomizer resistance. 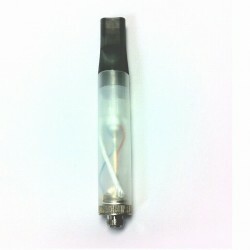 Connector 510 to support ego - gives you access to most cartomizers and atomizers provider of your choice. Output current regulator - maintains the same voltage, regardless of how much battery power is. 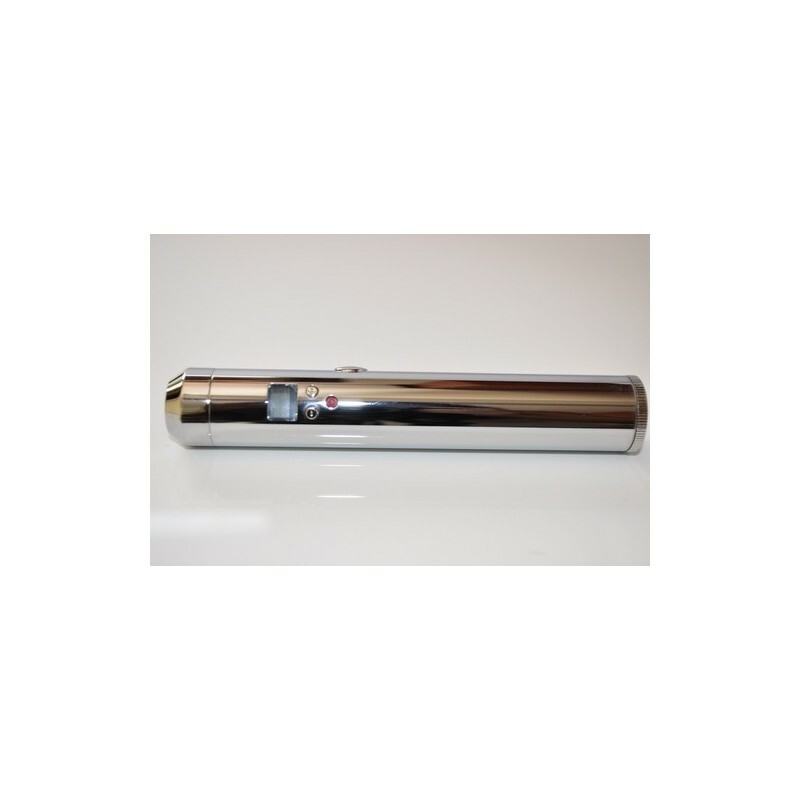 As the battery is consumed, the device will maintain constant voltage giving you a consistent experience for vaping until it is time to put a new battery (charged). Accidental overheating protection - If the activation is held down for more than 10 seconds, the machine will stop supplying power until the button is released. This will avoid the inconvenience if you accidentally activate the device in your pocket. We recommend that you close the unit by pressing the Power (On / Off) before putting in your pocket. Short circuit protection - the unit can detect cartomizer / spray / atomizer that has a resistance that is too small for current voltage setting (because it will attract more will generate too many amps and watts). When this occurs, voltage will be reset to 3.7 volts to protect all components (and you). 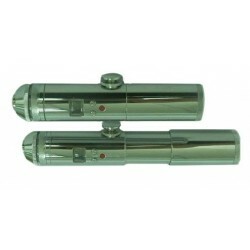 If the unit detects that cartomizer / atomizer is shorted then it turns off power of the device. 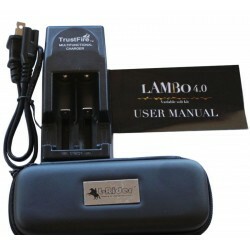 Reverse battery protection - this will help protect both you and the device when the battery is installed incorrectly. Battery Monitoring / Protection from over-discharge - the device will monitor the battery voltage and turns off automatically when battery voltage reaches a level of about 3.3 volts. This will keep you from over-discharge batteries, which will shorten their life and possibly damage them. Counter battery voltage - voltage lavatube has a timer built in, simply press the red power button 7 times and display the battery voltage for a few seconds. This way you can monitor remaining battery power before it will need to be recharged .The LCD display will blink when the battery needs recharging and will turn the power off. Current Protection - The unit is designed to monitor the current and close automatically when detects any excess current conditions (less than 2.5 amps). Ventilation hole - located at the bottom of the unit - all lithium-ion potential for "unpredictable" behavior . Vents is an extra margin of safety if something happens with the battery installed. display will cycle back to 6.0 volts . display will cycle back to 3.0 volts . 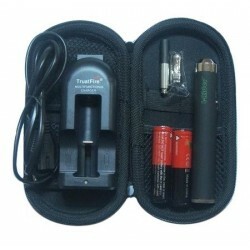 power the fitted atomizer .